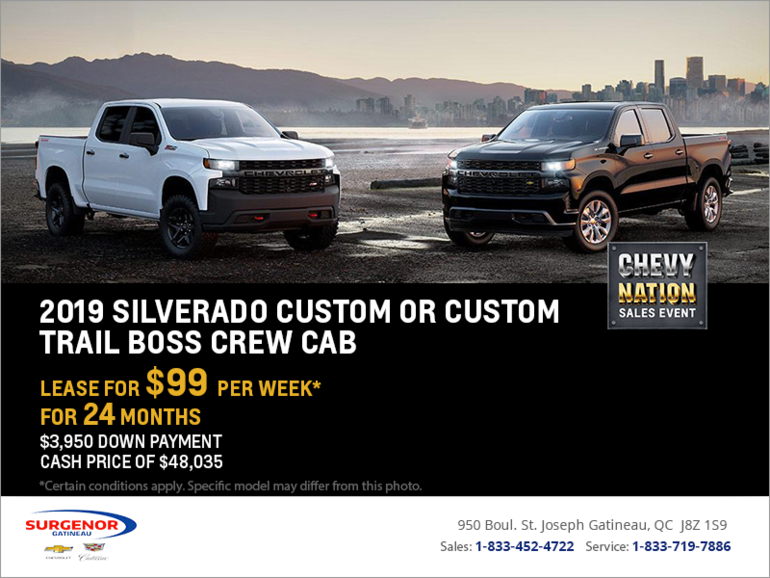 Lease the 2019 Chevrolet Silverado Custom or Custom Trail Boss crew cab for $99 weekly for 24 months with $3,950 down. Cash purchase price of $47,995. 52 biweekly payments. Down payment of $3,950 or equivalent trade-in. RDPRM-related fees ($47) extra. Annual kilometre limit of 20,000 km, $0.16 per excess kilometre. Dealer may sell or lease for less. 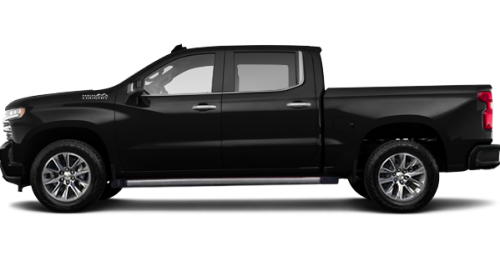 Limited-time offer available to eligible retail customers and applicable to new 2019 Silverado Custom or Custom trail boss crew cab models. OAC. Except for the vehicle to which the price advertised applies, models shown include optional equipment available at extra cost. This offer is exclusive to members of the Association de marketing Chevrolet-Buick-GMC du Québec (excluding the Gatineau–Hull region) and can be combined with the GM Card, GM Student Bonus and GM Mobility programs. This offer and these programs may be modified, extended or cancelled at any time without notice. For the latest information, drop by your local dealer or visit chevrolet.ca.